There are many good reasons for writing this article. First, this is the week of the Controesodo, or journey home from vacation spots, with backed up traffic on roads and highways, forced stops and changes in itinerary, and this spot is perfect should either happen. Second, this was one of my grandmother’s favorite places, and despite all appearances I am sentimental. Third, my experiences with socio-architectural modernity (i.e., places that have maintained the ambiances, atmosphere and ways of doing of 40 years ago) are invariably pleasant. Fourth, that any restaurant but this would have been swept away when the old state road upon which it based its fortunes was replaced by a 4-lane highway with a snarl of exits and unhelpful signs. The fifth, and most important reason, one that justifies all the others, is that this place makes the best tortelli alla maremmana in a radius of at least 30 km. And have always made them, as I used to enjoy them when as a child we’d stop on the way to the beach. I’m having a hard time getting to the quick of things, because I’ve said restaurant when we’re actually dealing with a trattoria, or to be more exact a trattoria-bar-tobacconist. The classic sort with a display case full of cheeses and cold cuts, a metal bar, liquor bottles on the shelves, and an unmistakeable 70s feel. Where the locals go for a coffee and to read the paper on formica tables; some come in four-wheel-drive vehicles (not SUVs! ), or even on tractors. A slightly old style cement structure, a packed earth lot for parking, and one really feels one is in the countryside. Behind it, scrub forests climb towards Campagnatico, a town of farmers and hunters, and this means a lot. 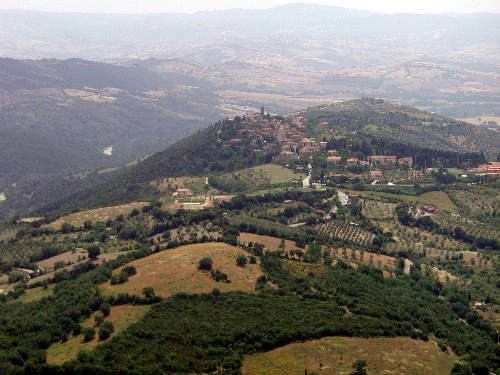 We are, you may have realized, on SS 223 Due Mari, the road from Siena to Grosseto, just past Paganico. And you may be wondering what the place is called. Answer: Who knows! 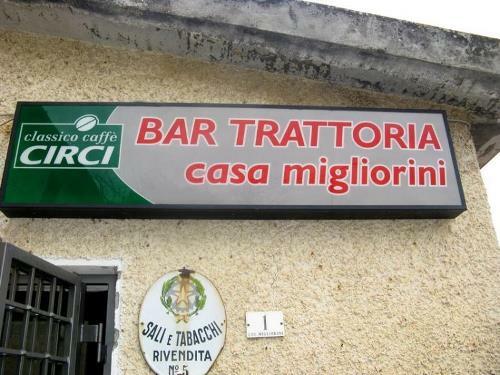 I have always called it Case Migliorini, but others call it Casa Migliorini, in the Singular, and the bill, which has printed upon it “Ristorante Bar F.lli Serafini snc, loc. Migliorini”, doesn’t help. In any case, to get there you have to exit the highway at Montorsaio (the exit after Campagnatico, if you’re coming from Siena), continue about 800 meters to the roundabout, take the first right, which is the old state road, and continue for a bit more than a km; the trattoria is on the left. And here we are. The layout is sober. Quite sober. 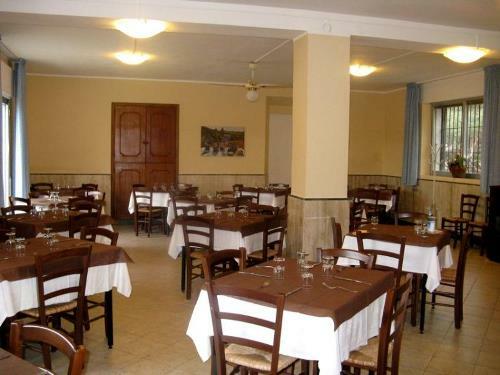 Ample hall, but few tables (simple, square) widely separated, and one can talk without fear of disturbing other patrons. Simple settings, a shelf with bottles of Morellino di Scansano – older Tuscan bottles, and a sign atop the piece of furniture says “Not for sale.” There’s no menu; the offerings are announced by one of the three Serafini brothers (Paolo, I think he’s called), the current owners of the trattoria, which was opened by their grandfather in the 30s. On the other hand, there’s not much need for a menu, because the dishes are always the same: tortelli, pappardelle, stewed wild boar, rabbit, beabs, and that’s about it. All cooked traditionally, home cooking almost, with sauces cooked down tot he limit but never exceeding it, full flavors, proper textures, and abundant portions. All good, excellent, even. 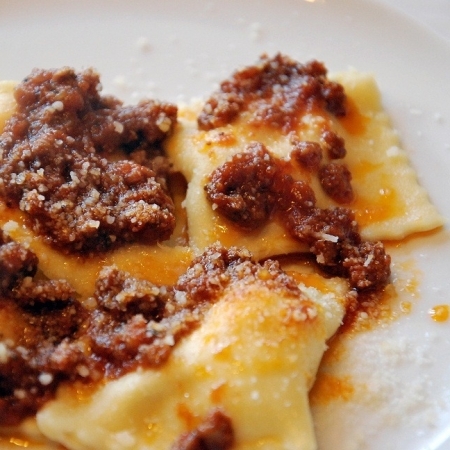 And the tortelli are especially noteworthy. The ricotta-and-spinach stuffing is perfect for fragrance and freshness, and they are perfectly cooked in the Maremman style, i.e. slightly more than elsewhere, though the pasta, which is thin, but not so thin as to resemble tracing paper, is not overcooked. Tradition. Intensely flavored, with the flavors displaying both harmony and the individual ingredients, whose freshness thus emerges. The sauce plays its part too; it has the proper grainy consistency, no excess oiliness, and it blends perfectly with the tortelli. A cuisine that requires time, in the kitchen and therefore at table; there’s no point in trying to hurry the Serafini brothers, who are – as one would expect of Maremmani – courteous with clients, but much less so with those who demand. One passes the time enjoying the atmosphere and the patrons, few of whom have come by chance. 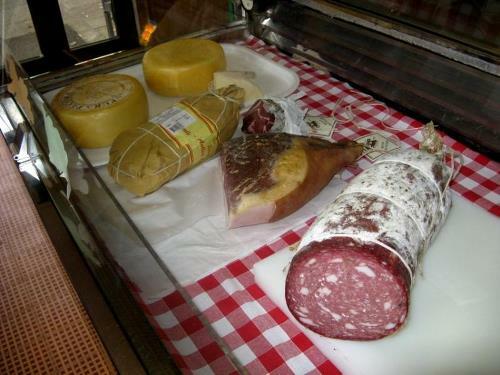 The cost of the trip back in time to discover the flavors of the non-postcard Maremma ends up being about 30 Euros per person. 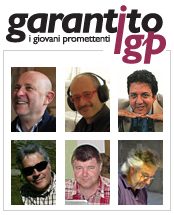 This entry was posted in Garantito IGP and tagged Campagnatico, Case Migliorini, Garantito IGP, Home Cooking, Restaurant Reviews, Stefano Tesi, Tortelli Maremmani. Bookmark the permalink.